American women are no stranger to fighting for our country. 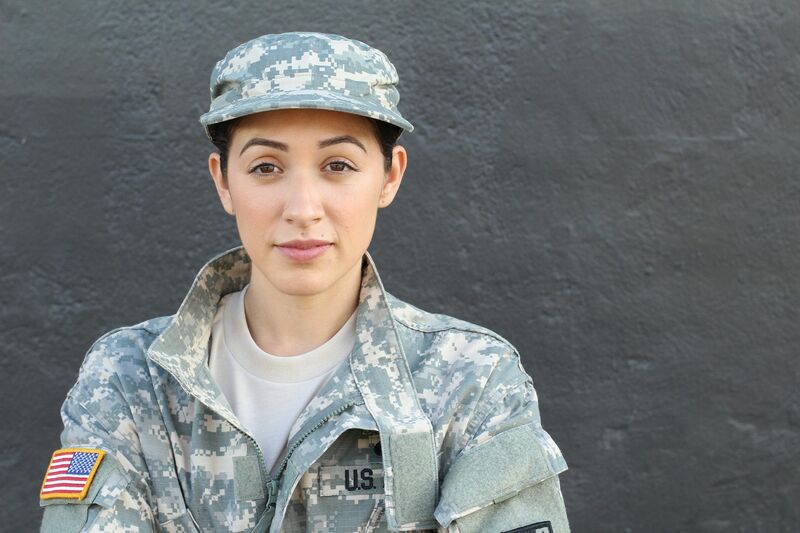 America is home to about 2 million female veterans who comprise nearly ten percent of the total veteran population in 2015. Three out of four of our female veterans served during war times – half serving from 1990 to the present. We can go back to the Revolutionary War to find courageous women, who put their lives on the line for our freedoms. Prudence Wright led a group of women disguised as militia men to scare off the Red Coats. In 1775, news spread that the British army was advancing to Concord, Massachusetts. The militia left their homes and assembled to meet them. A group of women hatched a plan to stop the British and their Tory sympathizers by blocking the road that ran through their town. Wright, a 35-year-old mother of six and Patriot, commanded a troup of three dozen women who donned the clothes of their husbands and brothers and used old muskets, pitchforks, and tools to scare off British soldiers before they could be discovered. The Minutewomen waited at the bridge into the night, shielding their lantern, remaining totally silent so as not to give their presence away. At last, two horsemen approached the bridge from the north. Taking advantage of the element of surprise, Prudence burst upon them with her lantern shining brightly in their faces, demanding to know their identity and business. When her husband was killed, Margaret Corbin bravely took over firing a cannon by herself against the British. Like many other wives of soldiers, Corbin left with her husband to fight in the Revolutionary War. During the Battle of Fort Washington, she dressed as a solider and assisted her husband in loading a cannon. When he was killed, she put grieving aside and took over manning the cannon by herself until she was wounded. Her aim was so good, other soldiers commented that “Captain Molly” had steady aim and was a sure shot. Sally Saint Clair wouldn’t let war keep her away from her lover and died defending him. Little is known about Sally Saint Clair other than that – like other women who fought for the rebel cause – she dressed as a man and fought until her death. This Creole woman or woman of color, allegedly joined the battle to be close to her lover and may have even died trying to protect him. She guarded her secret so closely that he didn’t even recognize her until she died. She severed her long and jetty ringlets, and provided herself with male attire. In these she robed herself, and set forth to follow the fortunes of her lover. A smooth faced, beautiful, and delicate stripling appeared among the hardy, rough, and giant frames, who composed the corps to which Jasper belonged… It was found that his energy of character, resolution and courage, amply supplied his lack of physique. None ever suspect him to be a woman. Not even Jasper himself, although she was often by his side, penetrated her disguise. War is not romantic, but these women were passionate about the cause for which they fought. Today, we remember the ultimate sacrifice of all the servicemen and women who gave their lives for our nation and celebrate the veterans who are still with us.